Our holiday house is situated in the holiday paradise of Lenzerheide 10 walking minutes from the center of Parpan. With a prime location, it offers an excellent view of the Rothorn and the surrounding mountains. The Kiwi Lodge family is welcoming to everyone: individual travelers, families and groups up to 110 People. Our lodge provides a cozy atmosphere that caters to everyone’s needs. The average bedroom is equipped with four beds as well as a desk, cupboard and a water basin. Each floor has its own set of communal showers and toilets. In addition, we also have the basic facilities to cater to people with disabilities. This lovely holiday getaway is surrounded by nature, yet is only a few minutes’ walk from the center of the beautiful village of Parpan. The house boasts a range of outdoor attractions. These include a small soccer field, a playground, a mega sized trampoline as well as a forest access and spectacular views of the mountains. All this awaits you for an unforgettable experience. We look forward to welcoming you (Kia Ora) to our place! 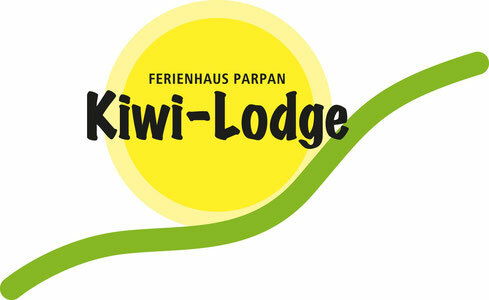 The Kiwi Lodge has a total of 112 beds, mostly 2 to 4 beds per room. Four of our rooms are equipped for people with disabilities and appropriate showers and toilets are adjacent to the rooms. In addition, the house has the following areas: meeting room, general-purpose area/group area, residents dining room, conference, kitchen, library, classroom, disco, workplace, fireplace, shop, showers, clothing/drying room, ski room and a cozy lounge. The room plan can be downloaded here as a word format, and provides you with a picture of the available rooms. Our lodge provides you with all the facilities you need for small and/or large groups. Whatever you are looking for, we have it. There’s the possibility of booking a single room, part of the house or even the whole house. By booking the whole house, self-catering is possible. At our Lodge, families just feel welcome! It is a paradise for children! There is a forest with a watersource and small creek, a trampoline, a playground, a soccer field and many other things to do. All whilst parents can relax and enjoy the sun from a deckchair on our terrace. Summarized: Pure Nature - lots of fun - relax and enjoy! Around the house, there are many possibilities to relax, play outdoor games or just enjoy yourself in nature. Soccer field, Volleyball net, Bocciaball, Basketball, Table soccer, and more. TV / DVD , magnet blackboard, free Wi-Fi, flipchart, projector canvas and beamer.